#118. 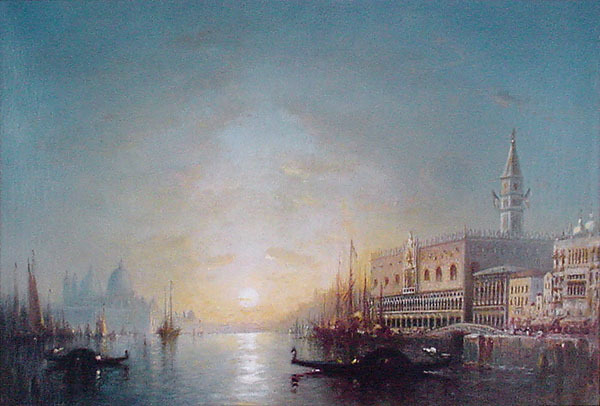 Entrance to the Grand Canal. 22 x 32, oil. "Gilbert Munger" lower left. The painting has a medallion on the back showing "O'Brien - Chicago - 57818". Sold for $3000 at Sotheby's, Los Angeles, auction of 12 Mar 1979, lot 160, for the benefit of the San Diego Museum of Art. 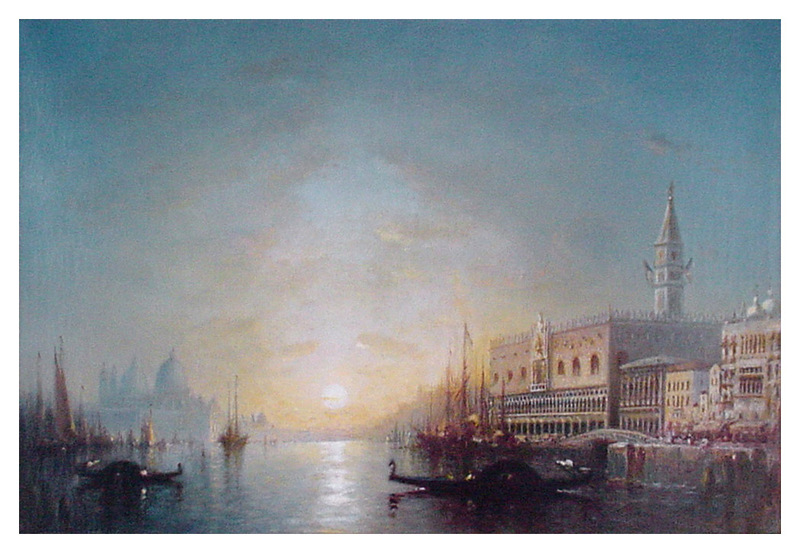 The painting was incorrectly titled Venice at Sunrise in that catalog, as the painting shows the sun low in the west. Then from Dassin Gallery in CA in 1981 via a decorator to the collection of Alleyne Mitchell; sold at her estate auction run by Simpson Galleries of Houston on 22 May 2005, lot 201. Subsequently offered by The Greenwich Gallery, CT. Image from executor's email.